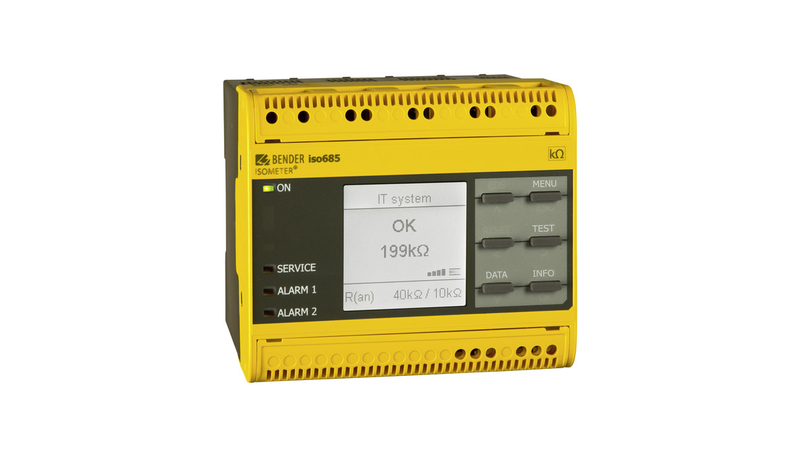 The ISOMETER® iso685-D is an insulation monitoring devices for IT systems in accordance with IEC 61557-8. It is universally applicable in AC, 3(N)AC, AC/DC and DC systems. AC systems may include extensive DC-supplied loads (such as rectifiers, inverters, variable-speed drives).